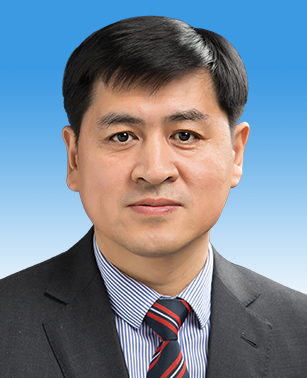 Born in April of 1971 in Liaoning, Mr. Yang joined the CPC in June of 1992. He was employed in July of 1994. He graduated from the School of Political Science and Law of Northeast Normal University with a major in History of the Communist Party of China and was awarded a Doctorate of Law. Mr. Yang is an Associate Researcher. Presently he also serves as the Director of the Study & Think Research Council of Beijing Education Institute. He was previously employed with the Beijing's No 109 Middle School and also served as its Vice Principal. He has also held the position of the Vice Director of the Education Commission of the Chongwen District in Beijing; Director of the Olympic Education Council of the Propaganda Department of Beijing Olympics; Director of the Education Commission of the Chongwen District in Beijing; Supervisor for Education of the People's Government of the Chongwen District in Beijing; Director of Education Commission of the Dongcheng District in Beijing; Director of the Basic Education Department of Beijing Educational Committee; Deputy Director of the Beijing Institute of Education. Mr. Yang is mainly engaged in the studies of fundamental education policy, curriculum and teaching and Olympic education. He has led a project for the National Social Science Fund Research and a project for Beijing Province Education Planning & Research. He has published over 60 papers in ‘Education Research’, ‘Journal of The Chinese Society of Education’, ‘Curriculum, Teaching Material and Methods’ and many other academic journals. He has also published 3 monographs including “A Study on the Value-orientation in Fundamental Education Polices in Contemporary China - A Perspective of the Policy Ecology”, “Educational Practice & Development” and “Advanced Educational Brand: Case and Case Study”.